Alright, in my continuing effort to use React Native, I keep running into little issues with all the libraries I use. Usually it's due to a setup issue and my lack of understanding of the true under-workings of what I'm doing seems to lead to these issues. 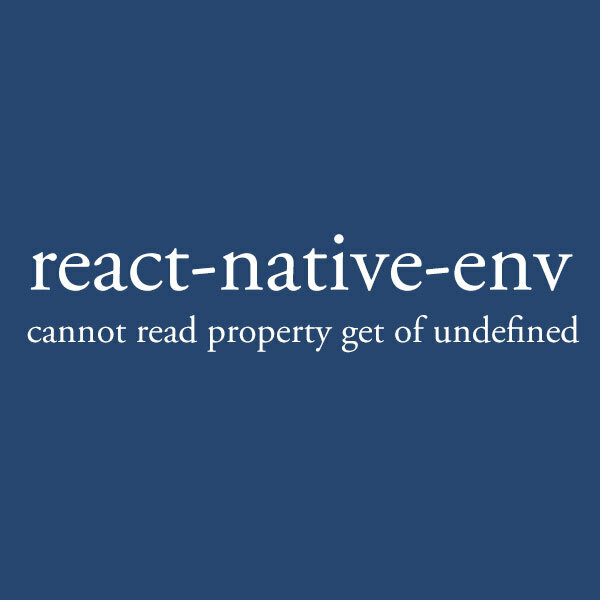 Today, it's with react-native-env. When setting this library up, I kept running into an issue that would say 'cannot read property get of undefined' or 'cannot read property getAll of undefined'. When I started debugging, it seemed the EnvironmentManager object was present, so what was the issue. So it's really just an issue of not reading the instructions properly. You need to add the RNEnvironmentManagerIOS.h and .m files to your project. The only thing I found a little misleading is you shouldn't add the folder - rather add the individual files. So in XCode, (I have a group called 'Libraries' under my project, but I think you can add it anywhere), right-click and "Add files to ", and make sure to select the individual RNEnvironmentManagerIOS.m and RNEnvironmentManagerIOS.h files. Hope that helps out some peeps!